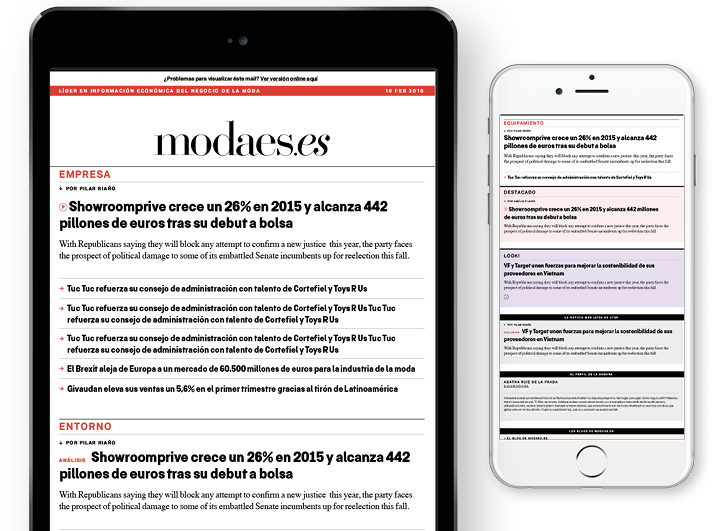 A new report elaborated by Modaes.es and supported by Tendam Group and Spain’s Enterprise Institute analyses unveils the top 100 most attractive cities for retail companies. The European Commission has initiated the process to withdraw the access of the Asian country to the trade preference program Everything but Arms (EBA), but the final approval of member countries still misses. In the last edition of the World Economic Outlook report, the authority warns of dangers for mature economies such as the slower growth of labour force due to population aging or the end of fiscal stimuli in the United States. Representatives of textile industry workers in the country have started to contact big fashion retailers with local manufacturing sites to seek out supports for a Bangladesh Accord-like agreement. h By I. P. G./ L. M.
In 2017, Spanish fashion groups were valued at about 6.6 times Ebitda, compared to a multiple of 9.7x in the previous year. The country, second largest manufacturer of shoes worldwide behind China, has lifted import tariffs on this product from 20% to 25%. The decision also affects taxes on precious stones and fuel. h By M. Bertero / L.M. The Mexican fashion industry will be one of the least affected sectors of the Mexican economy in the new United States, Mexico and Canada Agreement (Usmca). The new agreement between the three countries, named as Usmca, will substitute the former free trade agreement after a year of negotiations. It contemplates a reduction of textile and garment quotas that don’t comply with the rules of origin. Levi Strauss, Gap, Nike, VF Corporation, PVH, Michael Kors or Ralph Lauren, with a strong dependence on China in its supply chain, could see their margins reduced by the new tariff policy of their country. The fear to trade wars and the increase on populist political parties, together with a greater uncertainty surrounding emerging economies will be some of the factors with a bigger impact on the financial system. The International Monetary Fund (IMF) points out in a report published today that “there will be no winners after Brexit”. If the United Kingdom maintains its access to the European single market despite leaving the customs union, the impact will be almost non-existent, with a 0.06% drop. News on the latest macroeconomic indicators related to the textile- and fashion industry worldwide.